TSN: The Columbus Blue Jackets have some interest in Ottawa Senators forward Matt Duchene if he becomes available and if the acquiring price is less than what they would get from trading Artemi Panarin according to Pierre LeBrun. Teams are phoning the Blue Jackets and they are going over the offers. The Blue Jackets are going to be buyers and sellers at the trade deadline. TSN: Darren Dreger on the Winnipeg Jets looking for a forward but it doesn’t have to be a center if there is a winger that is better out there. A top priority could be a top-six winger. 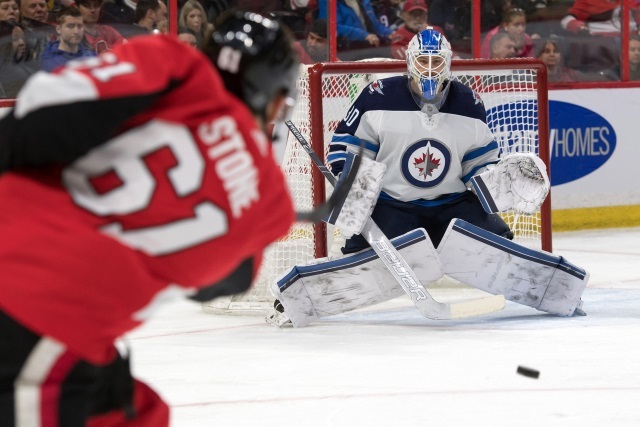 This week the Jets and their farm team play a total of six times in Winnipeg and Senators GM Pierre Dorion is expected to be in town scouting the Jets organization. Pierre LeBrun adds that the Vegas Golden Knights are another team that would be interested in Stone and there is a connection with assistant GM Kelly McCrimmon. The Calgary Flames could be another team that would have some interest.